If you have been diagnosed with PMS or if you think you may have PMS the first step toward taming your PMS monster is in your hands. These PMS treatments usually have no side effects, and provide significant benefits to your overall health. If these treatments fail to reduce your PMS symptoms within a reasonable amount of time (two or three months), you and your doctor may want to consider prescription treatments which include: contraceptive hormones, anti-depressants, anti-anxiety drugs, and drugs that affect hormone production. Many women are surprised when their PMS symptoms seem to disappear after they’ve begun a regular program of exercise. Not only can regular exercise help reduce your PMS symptoms, your overall health will improve as well. Regular exercise significantly reduces your risks for obesity, diabetes, heart disease and many types of cancer. Regular exercise also helps improve the symptoms of depression, anxiety, and stress. The best results from a regular exercise program come when you spend at least 30 minutes, 5 days a week, doing an aerobic activity such as walking, swimming, biking, or jogging / running. Relaxation techniques help relieve the everyday stress and anxiety that many of us experience. 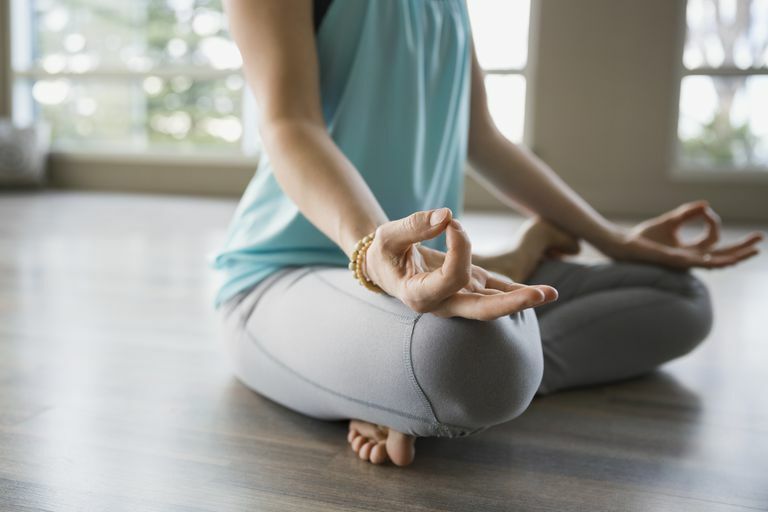 Establishing a regular mind-body practice can be extremely beneficial for your overall health. Psychological symptoms such as depression, anxiety, and stress often occur due to the hormonal changes that happen in your body between ovulation and your period. self-hypnosis often help to reduce these symptoms. While it can sometimes seem difficult to achieve, make sure that you’re getting at least 7 to 8 hours of sleep every night to help reduce the intensity of your PMS symptoms. Not getting enough sleep can increase the severity of your PMS symptoms. A lack of proper sleep affects your ability to concentrate, makes you to feel tired when you wake up and throughout your day, and can have a profound negative impact on your energy level. If you don’t feel refreshed when you wake up in the morning, you’re probably not sleeping enough. If your PMS symptoms include bloating or fluid retention, it’s particularly important to reduce your sodium intake since salt is a huge contributor to such symptoms. Most herbal treatments for PMS have limited to no evidence supporting their effectiveness. Chasteberry may be an exception. Several small studies show that chasteberry appears to reduce the symptoms of PMS in some women. However, due to the limitations of these studies, researchers cannot assure the safety and effectiveness of this herb. Chasteberry is currently the only herb considered possibly helpful to women who have PMS. Although women in one small study saw an improvement in their PMS symptoms following three months of treatment with chasteberry, this herb requires further study to determine if it is safe and effective. Mild to moderate PMS symptoms often respond well to calcium supplementation. You probably already know that calcium is important for helping to reduce your risk of osteoporosis or bone loss. However, you may not be aware that studies show that taking 600 mg of calcium twice daily (in addition to the calcium obtained in your diet) provides a significant reduction in PMS symptoms, after 3 months, when compared with placebos. A small clinical trial has found that up to 100 mg of vitamin B6 (pyridoxine) may help reduce the symptoms of PMS in women who have only mild symptoms. You should never take more than 100 mg of vitamin B6 per day (80 mg for teens) due to a risk of nerve damage. In fact, some guidelines suggest keeping the supplementation dose of vitamin B6 to 10 mg per day. Most of these diet and lifestyle recommendations are also important for your overall health. It is possible that making these changes in your daily routine can help reduce the cyclic symptoms of PMS. As always, it is important to discuss any concerns you have about your menstrual health with your healthcare provider.